This summer, as Americans head to the beach, they'll be lugging a lot more than towels and suntan lotion along with them. Millions of smartphones, tablets, e-readers, and laptops will also be taking the trip. 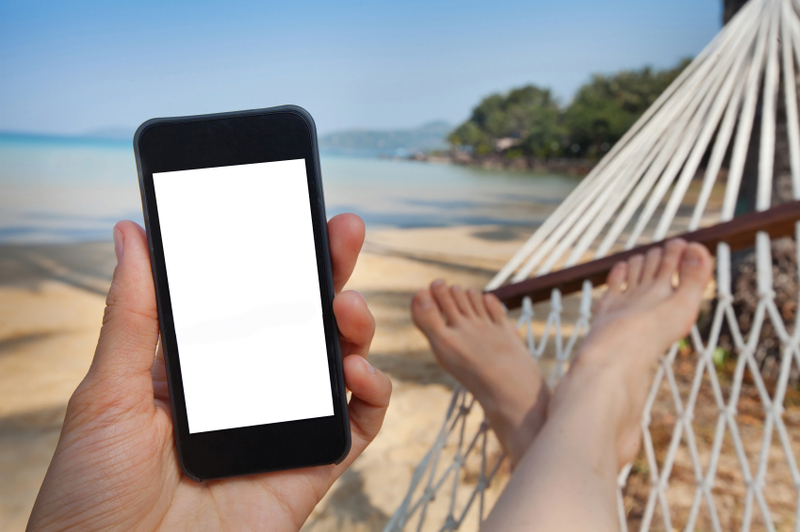 A Consumer Reports survey recently found that 94 percent of vacationers bring along their electronic devices. And while most of us love the sun, sand, and surf -- electronic devices definitely do not. Here are some tips to help you keep your gadgets safe and secure from some common summer vacation hazards. Don't leave expensive electronics unguarded while you swim. The pool or beach can be an easy target for thieves. Back up your data before you go, just in case the phone is lost, stolen, or damaged. Use your phone's security options, like Apple's "kill switch" feature, which can protect your data if stolen. Install a "Find my phone" app that uses GPS to help track a missing device. Protect your devices from sand and fine dust that can scratch glass panels. Use a case that covers the device completely, or zip it inside a plastic bag for safekeeping and easy access. Keep air holes covered near sand, dirt, and dust that can enter and clog cooling systems. If you do get sand or dirt in the crevices of your device, clean it carefully following the manufacturer's instructions. Clean up smears of suntan lotion, oil, and grimy fingerprints with gentle screen cleaning products. Don't use harsh chemicals. Be careful not to scratch the glass with sand when you're wiping it down. Avoid getting cleaning fluid into camera lens, microphones, or buttons. Check what temperature your device can tolerate. According to the Apple web site, its mobile devices are not meant to operate at temperatures higher than 35º C (95º F). Laptops may start to overheat at 30º C (86º F). Watch for signs of overheating; a device may start behaving erratically, display an error message, or just shut off. Don't spend a lot of time using graphics-intensive, heat-generating applications, like GPS and video games, in hot conditions. Store the device in a shady spot and don't let it get hotter than its recommended storage temperature; for an Apple phone or tablet, that's 45º C (113º F). Parked cars and sunny beach towels can get even hotter than that. If moisture gets inside your device, it could void some warranties. Salt water poses a greater risk than fresh water. If you drop your device in salt water, turn it off, pat it dry, and remove the battery and any SD cards or charger cords. With a moist cloth, gently wipe off salt and let your device dry out. If you cannot remove the battery or SD card or your device was fully immersed in water, you can try putting the wet device into a large bag of uncooked white rice to absorb the moisture. Your smartphone can't swim, so while boating, be sure to secure it to your body or clothing with a strap or clip. How do pros protect their electronics? Lisa Tauxe is a distinguished professor of geophysics at the Scripps Institution of Oceanography at the University of California, San Diego. She needs to take her electronic devices with her on research missions to some of the most challenging environments on Earth: deserts, oceans, volcanoes, even Antarctica. Before she goes out to the field, she tests her field protection methodology in an environment similar to the one she is about to visit. "I spent a lot of time in the freezer with my laptop before I went to Antarctica," she told CBS News. "And I am now testing cold packs for a trip to the desert. I'd need a bunch of them." There is one tried-and-true method she always uses to protect her cell phone from dirt and water wherever she goes: "I just use a Ziploc bag."